For the flyer, the traveler or the dreamer, these fun socks are subtle enough to be dress socks and fun enough to present a festive feel for your in-air adventures. 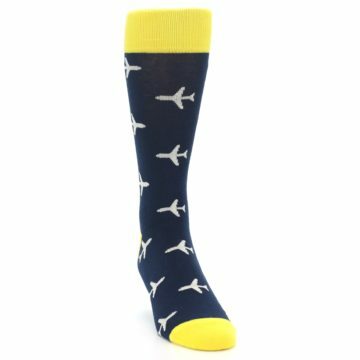 Wear them down the aisle with your best guys for wedding socks that will soar into the hearts of your wedding guests. 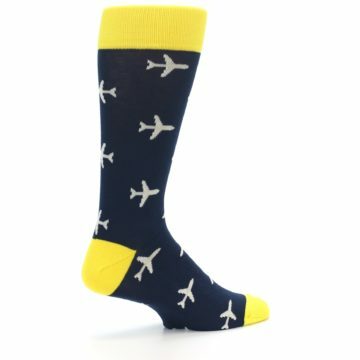 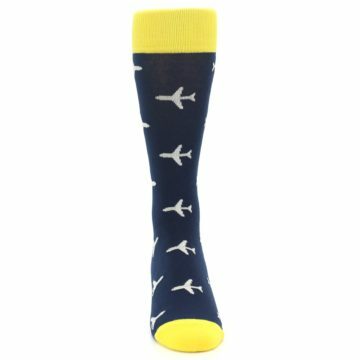 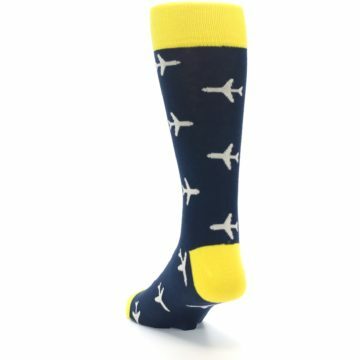 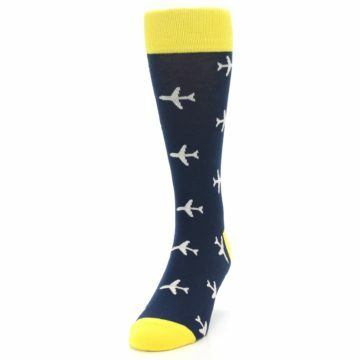 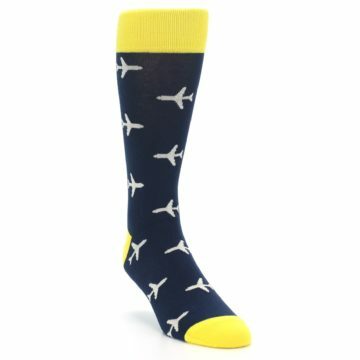 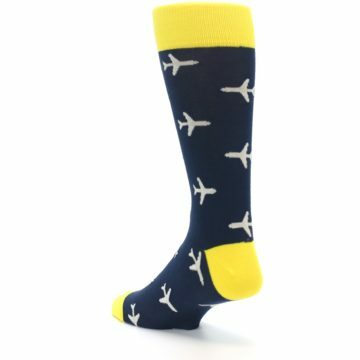 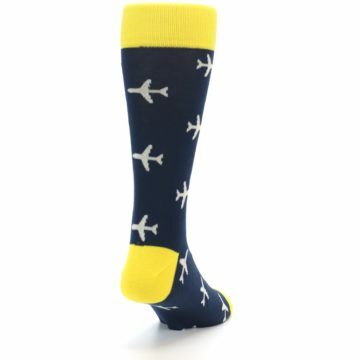 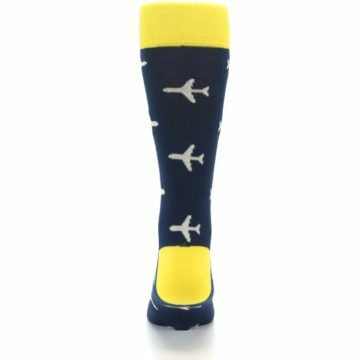 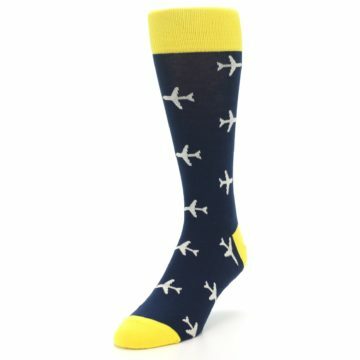 These airplane socks are the perfect gift for your jet-setting self or you can gift them to someone who fancies seeing the world from the sky. 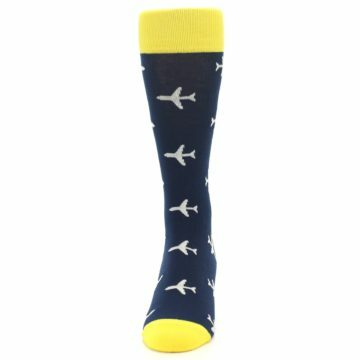 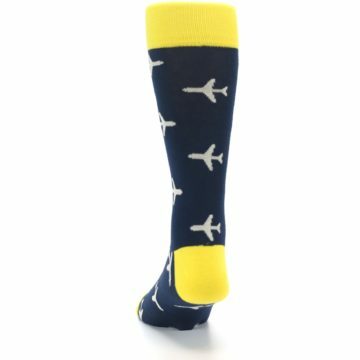 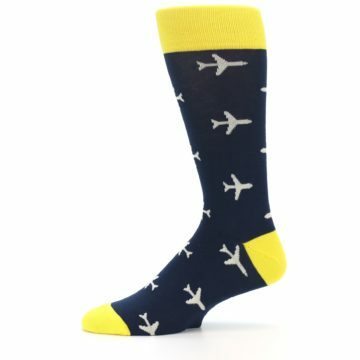 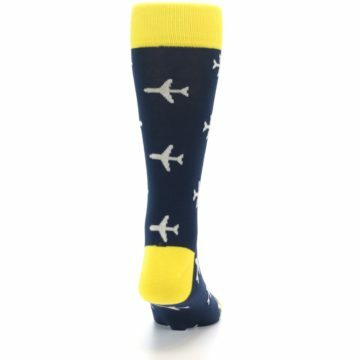 There are not yet any reviews for Navy Yellow Airplane Pattern Men’s Dress Socks.